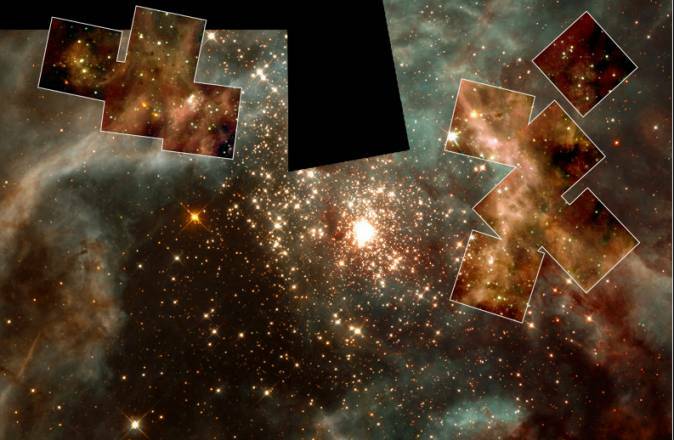 Explanation: This gorgeous visible-light Hubble Space Telescope image shows a young cluster of massive stars at the center of the 30 Doradus Nebula. Gas and dust clouds in 30 Doradus, also known as the Tarantula Nebula, have been sculpted into elongated shapes by powerful winds and ultraviolet radiation from these hot cluster stars. 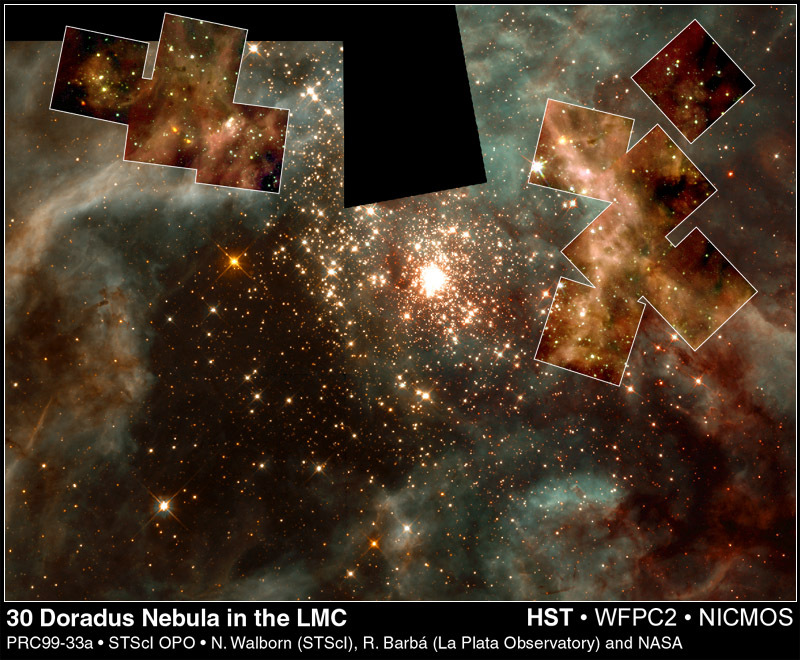 Insets in the picture represent corresponding views from the Hubble's infrared camera where each square measures 15.5 light-years across. Penetrating the obscuring dust, these infrared images themselves offer detailed pictures of star formation within the nebula's collapsing clouds, revealing the presence of newborn massive stars. The 30 Doradus Nebula lies within a neighboring galaxy, the Large Magellanic Cloud, located a mere 170,000 light-years away.